The mission of the Women, Food & Agriculture Network is to engage women in building an ecological and just food and agricultural system through individual and community power. One way WFAN meets this mission is through our farm mentorship program, Harvesting Our Potential. Aspiring farmers in the program work directly with an instructor to gain hands-on experience. Through the program, women develop a deeper and more realistic understanding of farm life and make connections with other aspiring women farmers, mentors, communities, and networks supporting farmers. 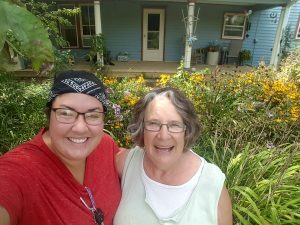 Women in the program also learn about government and local resources available for beginning farmers and create a deeper connection to, and appreciation of, the land. At that meeting Shea was introduced to a mentorship program through partner organization Practical Farmers of Iowa. She went on to work on Rolling Acres Farm with Denise O’Brien, founder of the Women, Food & Agriculture Network, in Atlantic, Iowa. Shea has worked at a youth shelter in recent years where she started a garden with kids. 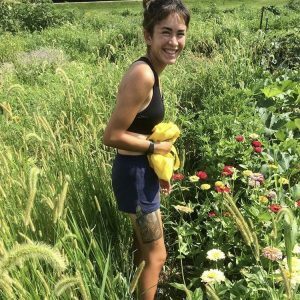 Ultimately her dream is to have a small farm and nonprofit organization that would have an after-school program for local youth that would enable them to have a safe place to learn, grow, and play. For more information about Harvesting Our Potential visit www.wfan.org.